Wow! Where to start?! Over and over again I was impressed by the artwork of this series. The whole presentation was very clean, with fully fleshed-out backgrounds and sophisticated animation, scene after scene; the backgrounds were detailed and nicely drawn, while the animation consistently included numerous moving elements, both of main and incidental characters... The animation even used different focus for foreground and background elements while moving. Character design was very good, with characters appearing realistically distinctive. Voice acting by the cast was good all around, as were the sound effects and music generally. Writing, dialog and direction were good too in general; I think the dialog was very strong, and the direction made the most of the plot. Focus was divided among four characters (Madarame, Hato, Ogiue and Yajima), and this weakened the story for newcomers to the series like me, as did the lack of development and background stories for some of the characters (both main and supporting); it's assumed the viewer watched the first two seasons many years prior to when this one was produced (which is actually the 3rd season, lol). Also, the obnoxious Kuchiki character was overplayed. The rotten girl and BL aspects of the series are rather heavy for anime intended for general audiences. (I mean, even adult general audiences... this series is not for kids.) 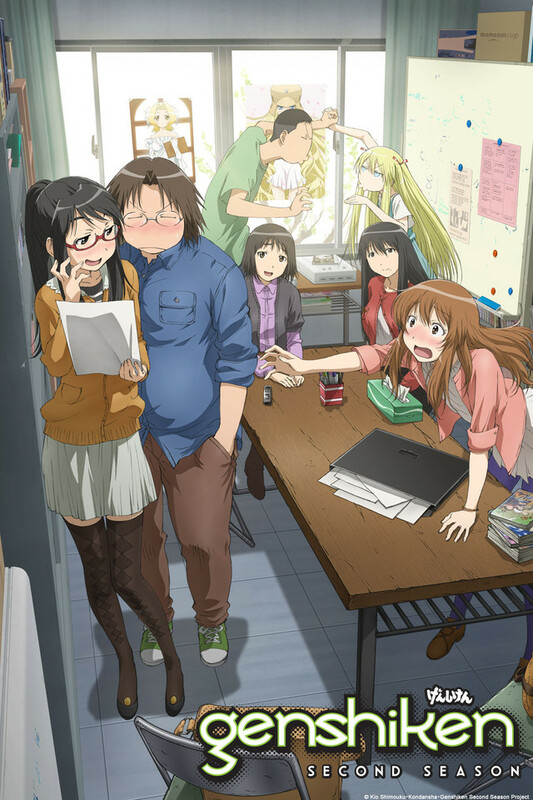 But if you can get over that and appreciate the story and the characters for themselves, then Genshiken Second Season stands out from many other shows. And there are many funny scenes, from blatant slapstick and retorts to subtle asides. I'm giving GSS a 4+ rating overall, with the '+' for the consistently impressive visual presentation. I have been a fan of the original Genshiken for years. So much so that I had a copy with me while I spent a year in Afghanistan. When I found out there was more to the story I had to watch. At first I had no idea if I was going to like it or not. But, as the series progresses I was happy to find that the faces may have changed it was still the same spirit I enjoyed from before. If you were a fan of the original I believe you'll enjoy this continuation as much as you did the original.